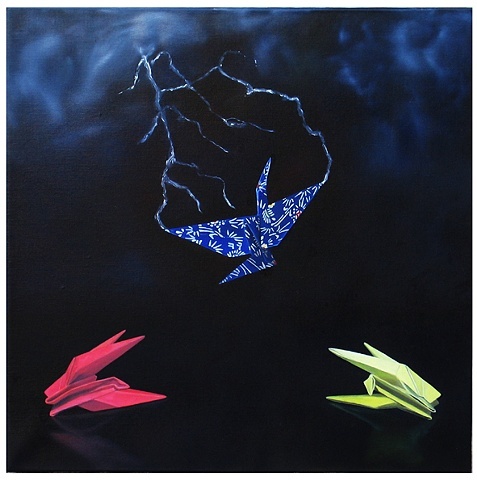 An origami bird is being struck by lightening whilst his companions cower sensibly below. Sometimes it may be true- that a moment of glory is worth any amount of ‘lying low’. However, he is not a vainglorious bird- he is simply following the fierce joy of his spirit. It’ll cost him his life but in that instant of joy, he is at peace with the experience.